Betsy DeVos and the Russian email server: Back on February 11th, Palmer Report was the first to report that the Trump Tower Russian email server was also communicating with a company controlled by Donald Trump’s Education Secretary Betsy DeVos and her husband. We sleuthed this out by connecting various details that were scattered across internet. At the time we were able to easily prove what we were reporting, but we still faced pushback (link). On March 10th, CNN finally reported the same story and splashed the words “Breaking News” across the screen despite being a month late to the story (link). Michael Flynn immunity: Back on March 25th, I wrote an opinion piece (clearly marked as “Opinion”) in which I laid out the circumstantial evidence that led me to believe Flynn was trying to work with the Feds in the Trump-Russia scandal (link). One week later, Flynn publicly offered to cut a deal, requesting immunity. Mike Pence email scandal: Back on November 17th of last year, just days after the election, Palmer Report began reporting on Mike Pence’s private email scandal in Indiana. We weren’t even first to this one; we first learned of it from a newspaper, which we gave credit to (link). Nonetheless, when cable news didn’t immediately pick up the story, we were accused of having invented it. But by March of this year, cable news outlets began covering Pence’s emails as if they were breaking news. Broken voting machines: Back in December of last year, Palmer Report began reporting extensively on broken voting machines in swing states. On December 2nd we reported on broken machines in Wisconsin, based on information we obtained directly from designated recount observers (link). Then on December 6th we reported on broken voting machines in Michigan, which we sourced to a local newspaper (link). For our efforts we were called “fake news” by a local CBS affiliate, which later quietly retracted its entire story. One increasingly disreputable fact check site declared our reporting to be “false” by trying to invent a difference between “broken seals” and “broken security seals.” We took more heat for reporting on broken voting machines (from the left and right) than on anything else we’ve ever reported, because virtually no other news outlets were bothering to report on it. Then on April 12th of this year, a Freedom of Information Act request confirmed that there were ninety pages of broken voting machines in 2016 swing states (link), thus vindicating everything Palmer Report had been reporting about broken voting machines for the previous five months. Russia and the Syrian gas attack: Back on April 8th, I wrote an opinion piece (clearly marked as “Opinion”) where I laid out the logical and circumstantial evidence as to why Russia was likely involved in the Syrian chemical gas attack (link). Two major newspapers proceeded to take cheap shots at Palmer Report for it, incorrectly asserting that I had provided no evidence at all. One of them falsely accused Palmer Report of being “fake news.” But three days later the Associated Press reported that Russia did know in advance (link), confirming the central tenet in my original article. We’re still waiting for the two newspapers to retract the now-thoroughly disproven claims they made about Palmer Report. Donald Trump and Dmitry Rybolovlev: Back on February 13th, Palmer Report reported on the curious flight patterns of Russian oligarch Dmitry Rybolovlev, who seemed to be flying in to meet Donald Trump in various cities. We sourced this to social media sleuths who were tracking the private plane’s call signal (link). But for our efforts we were labeled conspiracy theorists. Then on March 3rd, MSNBC host Rachel Maddow did a segment on those same Rybolovlev flight patterns (link). Rybolovlev has since acknowledged he was on one of those flights. Jill Stein and Vladimir Putin: Back on February 24th, after it was reported elsewhere that Michael Flynn was paid to sit with Vladimir Putin at a dinner banquet, Palmer Report focused on the fact that Jill Stein was sitting at the same table with them (link). Then on April 18th, NBC News began reporting on the same story (link). Mitch McConnell and Russia: After Palmer Report reported all the way back on May 24th that Mitch McConnell had taken millions of dollars from a Russian oligarch (link), and after we took months of abuse from larger competing news outlets on the left and right who insisted the story was fake news, the mainstream media is now reporting the same story as if it were new and breaking (link). The above examples are just a small fraction of the instances in which Palmer Report has been early to a story, taken heat for it from all sides, and then later been vindicated for it. Do we have a crystal ball? No, just a strong research ethic. Are we perfect? No, but very rarely do we turn out to be wrong. That’s because we decline to report things when the leads we chase down end up being out of line with the available evidence, or when the sourcing doesn’t seem right to us. There’s a lot of easy short-term traffic to be had by peddling in empty political rumors, but we prefer to stick to things that we expect to be ultimately vindicated on. 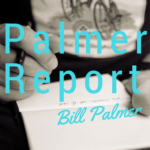 It’s worth pointing out that when larger news outlets have later reported what Palmer Report has already reported, they’ve virtually never given us credit for it. That’s not a complaint; it’s just how these things go. You’d have to ask the larger news outlets why they work so slowly to report these things, when they have access to the same information we do and greater resources, and why they instead spend so much time falsely attacking us. But the next time you see Palmer Report reporting something that you aren’t yet hearing from larger news outlets, and you see clueless individuals on social media yelling that we must be “fake news” because of it, keep in mind that it’s because Palmer Report tends to be early to these things. Feel free to point out to them that we’re regularly vindicated for it in the end.